Aldeburgh Beach is perfect for a relaxing traditional seaside holiday enjoying the miles of unspoilt coastline. This Suffolk seaside town is well known for the brightly painted former fishermen’s cottages and its celebrity residents. This beach is enjoyed throughout the year with plenty to see and do. The summer holidays bring families from far and wide each year to enjoy this traditional seaside resort. Did you know? Aldeburgh’s most famous resident is Benjamin Britten, look out for the Scallop sculpture dedicated to him on the beach front. The ‘Scallop’ designed by Suffolk artsist Maggi Hambling, is inscribed with the words “I hear those voices that will not be drowned” from Britten’s famous opera ‘Grimes’. 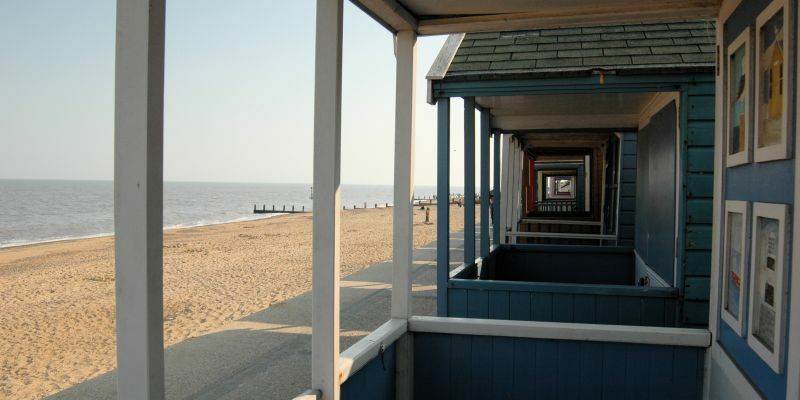 There is a mile of dog-friendly beach just to the North of Aldburgh which runs from the Wentworth Hotel to Thorpeness.